However, waste transporters are currently required to be licensed by obtaining an A-901 license, to be registered as a waste transporter, and to obtain a Certificate of Public Convenience and Necessity (“CPCN”). Also, the transporter cannot obtain these credentials simultaneously; it must first obtain the license, then the CPCN, then the registration. The time for the process can vary widely, but it is never a quick process. The business cannot engage in transportation of solid waste while the process is pending. The disclosures and information required for these applications can be considered invasive and are quite thorough, including inquiries regarding the applicant’s complete employment history, fingerprinting and background checks, and information on family members. Once the process is complete, the waste transportation business must continue to update its information with the NJDEP with annual or biennial updates for the CPCN, license, and registration. Moreover, in many cases, the business must advise the NJDEP of any major changes to the business in the interim (between updates). The NJDEP must also be advised of, (and may become involved in) any sale of a licensed solid waste transportation business or a closure thereof. The NJDEP has the power to suspend or revoke a License or Certificate where its holder has violated any law or regulation. Obviously illegal dumping (disposing of waste on the ground or at an unapproved facility) would be a clear violation. 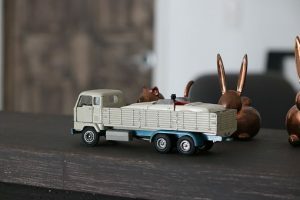 However, some of the most common violations involve trucks and waste containers being mislabeled, having containers which leak, failing to register, and failing to place updated, valid decals on vehicles. McLaughlin & Nardi, LLC’s attorneys are experienced with the New Jersey laws and regulations governing the solid waste industry and can provide consultation services for companies seeking to either begin their new business in the waste transportation industry or seeking to improve their operations to ensure legal compliance. To learn more about what we may be able to do to help, please visit our website, or contact one of our New Jersey lawyers by e-mail or telephone at (973) 890-0004.